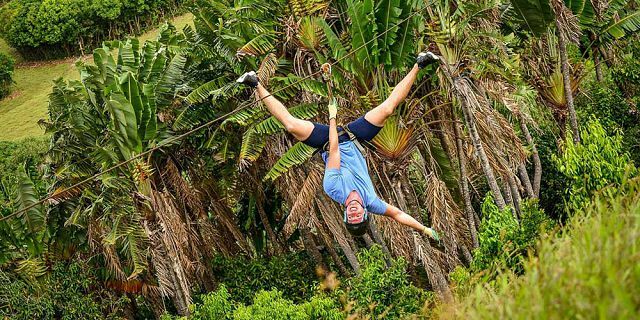 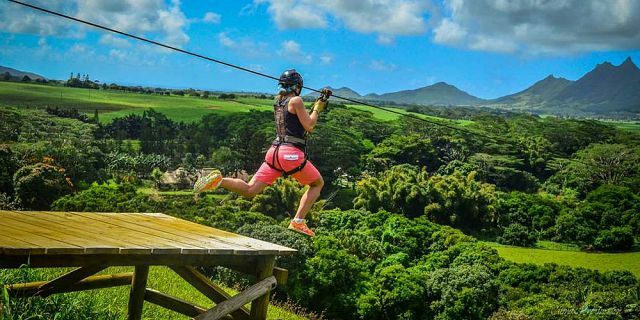 Take your need for speed to new heights in Mauritius, with this thrilling zipline adventure! 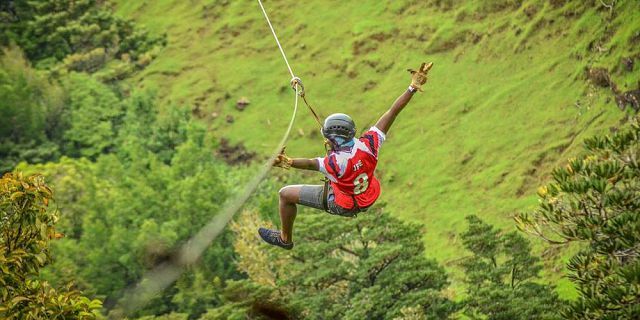 Spreading over 1200 hectares of pristine forest in the vast mountains of the South-East, the 3.5 km zipline at Domaine de L’Etoile is an unparalleled experience on the island. 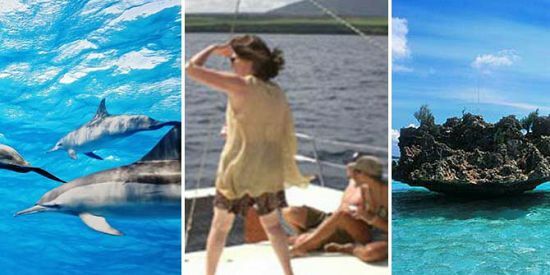 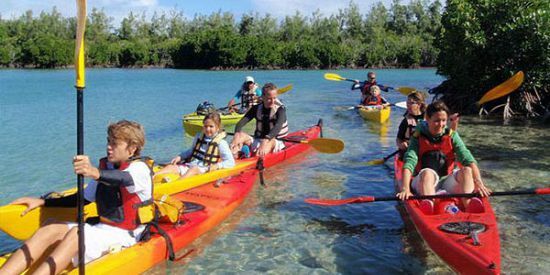 Let the friendly and professional guides show you our island from another point of view. Thrill seekers will get their fill of adventure and the adrenaline rush is only the beginning as you commence your ziplining adventure. 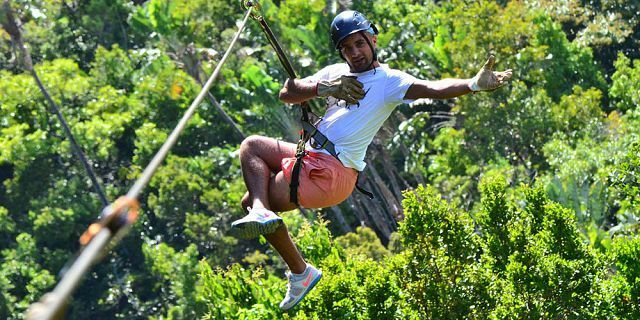 Drop down from a set of 7 zip lines, with the longest one being 800m long and a total ziplining distance of 3.5 km. 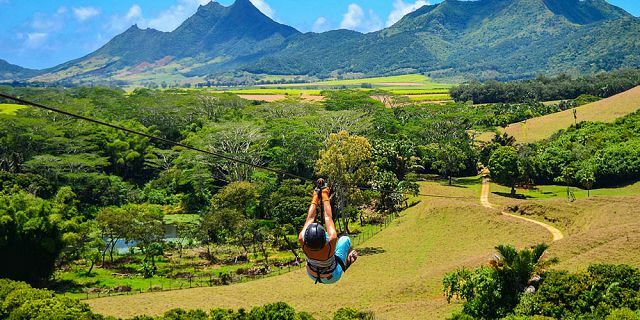 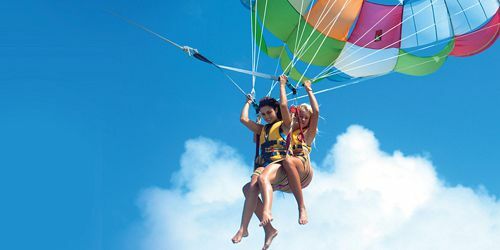 While connected to the zip lines, you will fly over the domain, looking at spectacular panoramic views, indigenous forests, beautiful valleys, sparkling rivers, wild animals and endemic birds. Upon your arrival at the nature reserve, you will be greeted by the friendly staff at the reception with welcome cocktails. You shall afterwards get on-board a Jeep which will take you further up the mountains, where the scenic ziplines await you for an exhilarating adventure. 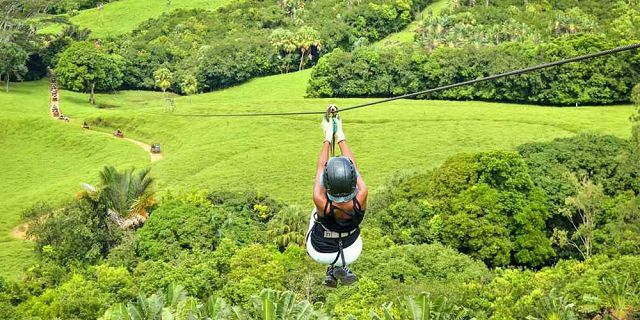 While journeying to the ziplines, you may come across deer and other animals which can make for some great photos. 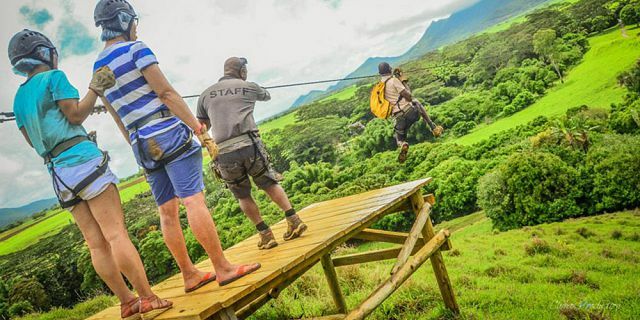 The guides will harness you up for the zip lines, followed by a briefing on the equipment and the safety precautions. 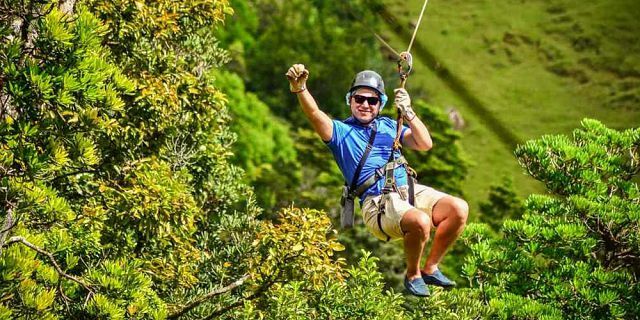 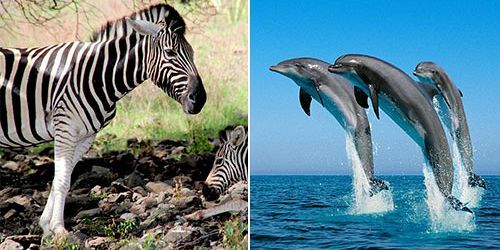 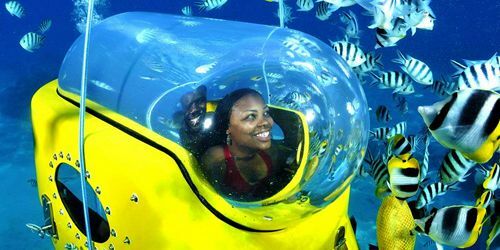 This is definitely a highly recommended package for nature lovers, adventure seekers and for anyone looking to experience an exceptional day. 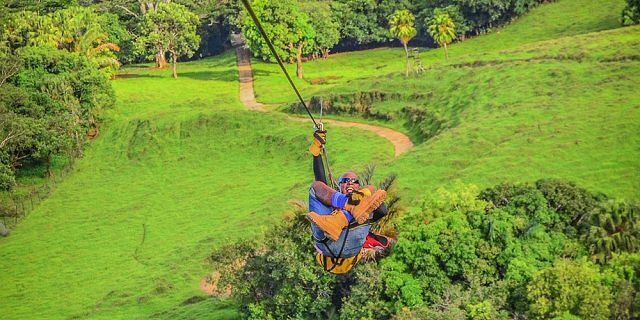 Come enjoy the beauty of the Domaine and create unforgettable memories through this exhilarating activity. 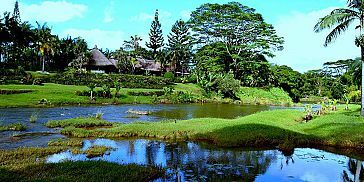 At this restaurant, you will be offered a buffet allowing you to savour the typical Mauritian cuisine inspired from the diverse cultures present in Mauritius. 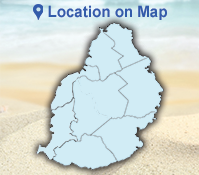 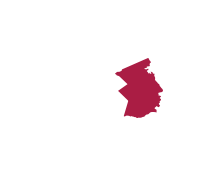 The restaurant also proposes a fusion cuisine.